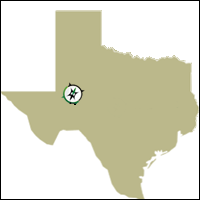 Cross Texas Land Services, Inc. - News - Website Launch | Cross Texas Land Services, Inc.
Mason, Texas – Cross Texas Land Services, Inc. (CTLS) the Premier Professional Land Surveyors in Texas. Located in Central Texas with field offices in Northern and Southern parts of the state, with many experienced and qualified Professional Surveyors working across the state around the clock in order to outperform expectations and satisfy clients with quality services. CTLS is proud to announce the launch of the new redesigned website. This site reflects the services and functions that we perform for our clients and businesses. Please Contact Us and let us know what you think of the new site and how we can improve to serve you better.